At this time of year, birds are starting to build up their reserves for winter. This means that they need lots of food, so make sure you keep your bird table topped up. Suet and fat balls are particularly good during colder weather because they are high in energy but you don’t need to buy food specially. Kitchen scraps and natural breakfast cereals are all good for birds, along with fruit and leftover rice. Just don’t put out anything mouldy and try to avoid bread. Many birds are reliant on the food we put out for them so keep feeding them all year round. Water is also really important for drinking and washing, especially when temperatures drop below freezing. Keep the water topped up and check for ice in colder weather. 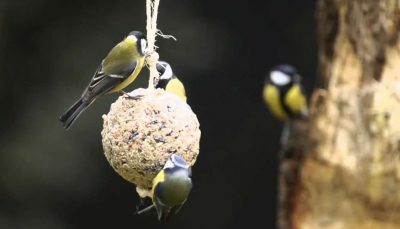 Position your bird table next to trees or a shed, so that birds can easily hop on and off. Just make sure it’s out of range for any curious cats! 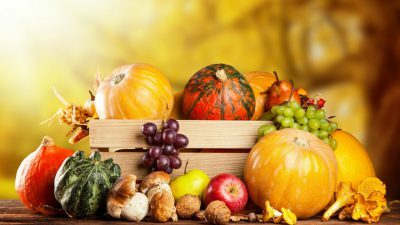 Now’s the time to harvest anything left in your kitchen garden before the frosts. Dig up any root crops like potatoes, carrots and beetroot. Dry them thoroughly and discard any rotten or diseased tubers before storing the healthy ones in dark boxes or sacks. Plant your winter vegetables like lettuces, autumn onions, spring cabbages and any overwintering broad beans. If you plant garlic now, it will be ripe by June – sow individual cloves six inches apart, so that just the tip shows. Make sure these are all insulated with fleece or cloches to protect them from the cold and the birds. It’s time to bring your herbs inside, so pot up your mint, parsley and chive using multi-purpose compost. Place them on a sunny window-sill, keep them well watered, and enjoy the crop well into winter. 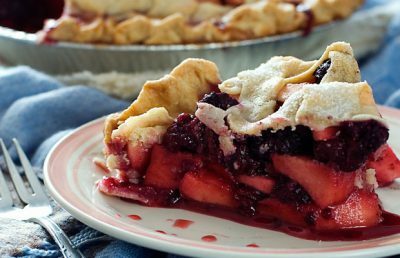 Autumn is the perfect time for fruit pies – apple and blackberry is a particular favourite. Harvest any remaining apples before they are blown onto the ground and gather some blackberries. What’s more comforting than a homemade fruit pie on a chilly autumn afternoon! Quinces will be ready in mid-October and can be made into a delicious jelly which goes perfectly with cheese boards or cold meats. If you have an apple glut, making apple jelly is a great way to use them up. Try mixing apple with mint or sage for a jelly to complement all the Sunday roasts of winter. Make good use of any surplus berries by using them to flavour different liqueurs. You may have tried sloe gin, but what about raspberry vodka or plum brandy? All make great Christmas presents, so bottle them up now and you can get ahead on gifts for friends and family. Getting back into the garden, it’s a great time to plant soft fruits such as raspberries, gooseberries and blackberries. Use lots of compost and plant at the same depth as they were before. That’s next year’s pies sorted!